It is not enough for eCommerce establishments to provide exceptional one-off experiences to their users. eCommerce enterprises have been increasingly working on improving customer engagement with a view to forming long-term and meaningful relationships. Gallup’s report on customer engagement 2014 states that fully engaged customers represent an average 23% premium in terms of share of profitability, revenue, and relationship growth. Interestingly, Gallup defines fully engaged customers as those who are both emotionally attached and rationally loyal. To achieve complete engagement, rational loyalty as well as emotional connections need to be leveraged. The influence of social web and its impact on engagement is another aspect toward which eCommerce enterprises need to pay significant attention. In this blog post, we discuss the three key attributes—emotions, participation, and user behavior—that eCommerce enterprises should focus on to improve customer engagement. Developing deeper levels of emotional engagement with consumers also requires eCommerce enterprises to foster transparency and trust in customer relationship. Using social proof, trust seals, and reviews on the website creates a sense of trust among their users. Using humor has a strong emotional appeal, and when used appropriately, never fails to make an impact. 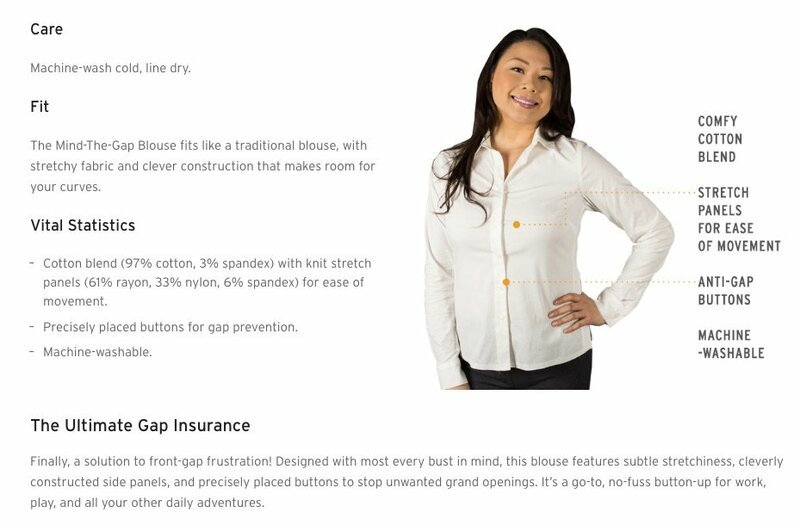 For example, Hublogix includes Betabrand in its list of eCommerce excellent marketing for humorous product descriptions on its website. Know what emotional triggers exist currently in your experience. Define what emotion you want your experience to evoke. Listen to your customers…a lot. Identify your customers’ subconscious experiences. Never stop improving the experience. 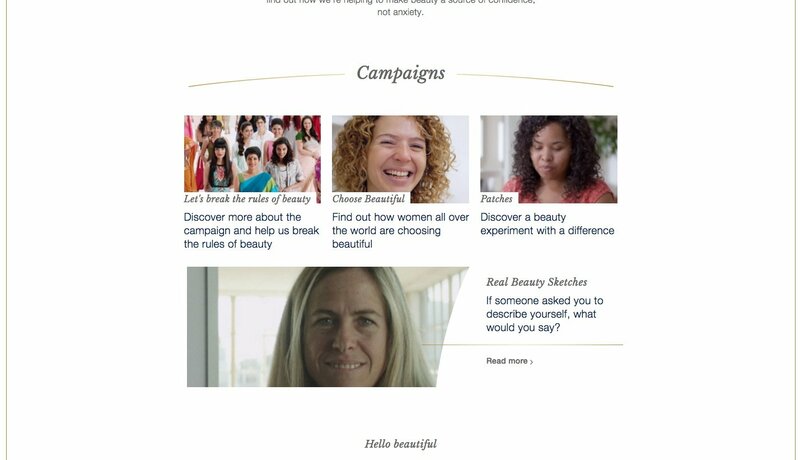 Another way to improve user engagement is by soliciting participation. Involve your buyers in product creation and innovation. Consider the example of Vans. The leading shoe brand encourages users to design their own pair of sneakers, using a customization feature. Moreover, to increase the engagement level of people who understand the nitty-gritty of the products, eCommerce enterprises can focus on co-creation. McKinsey talks about what brands who have mastered co-creation do to gain an edge over others. They researched more than 300 companies in three European countries and identified three key areas where those who lead at co-creation focused: targeting co-creators, finding the motivation, and focusing on a sustainable pay-off. Leveraging social media for participation is another way through which eCommerce enterprises can drive more engagement and purchases. According to a 2016 Yotpo consumer survey, 72% of customers say that seeing Instagram photos of a product increases customers’ chances of buying. These numbers give eCommerce enterprises a good reason to invest in social curation for driving user engagement. One way of doing this is using shoppable images on your site—product page, home page, or a dedicated photo gallery page. 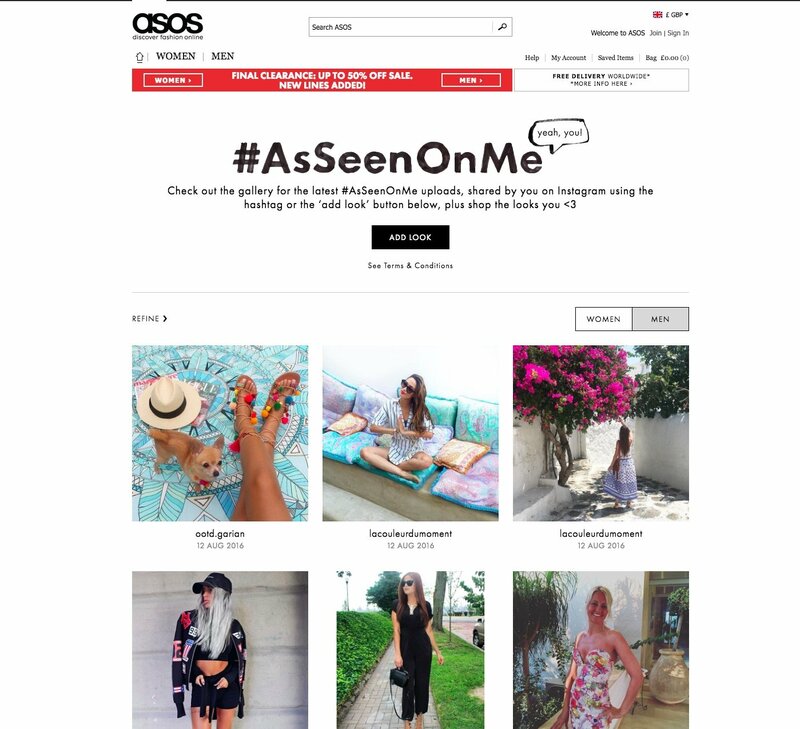 ASOS makes a creative and engaging use of Instagram images shared by customers, by running the #AsSeenOnMe campaign on its website. Warby Parker’s started its home try-on services in 2012. It was also smart of them to start a user-generated content (UGC) campaign for the same. Warby’s customers become a part of the campaign by sharing their photographs while trying the five pairs of Warby glasses and sharing it on their social media with the hashtag #WarbyHomeTryOn. Forever21 has created a single hashtag for all content generated by its users. 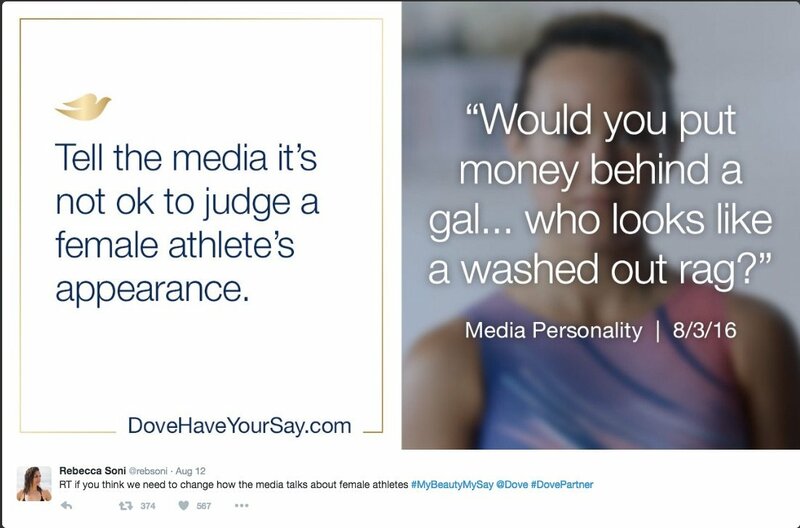 (The benefit of using just one hashtag is that people associate better with the brand as well as with the hashtag.) 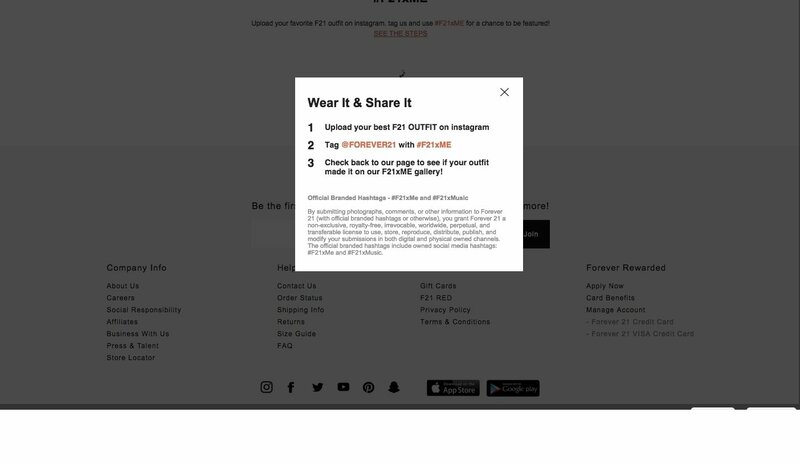 Forever21 has the campaign #F21XME featured on its website, which asks participants to upload their favorite F21 outfit on Instagram using the hashtag, and get a chance to be featured. Twitter Product pages are helping eCommerce enterprises solicit more meaningful engagement through social media. 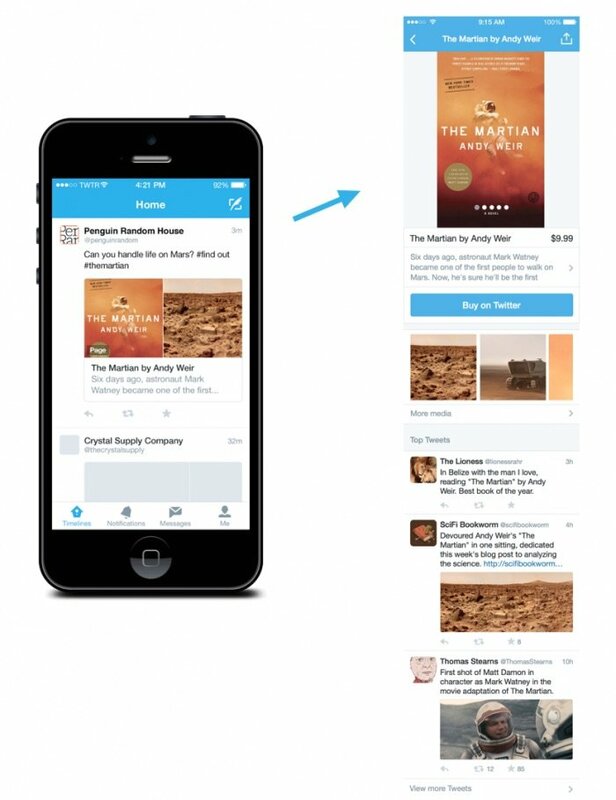 Twitter product pages are tweets that lead to shopping information about an item. A buy button is included for those who wish to buy. This post on Sprinkler can be your guide to social commerce. We discussed earlier how emotional loyalty and participation can be leveraged to increase engagement. However, it is equally important for eCommerce enterprises to focus on increasing customer engagement from rationally loyal consumers, which can be done by providing them an enhanced on-site experience. Continuously improving users’ on-site experiences requires eCommerce enterprises to dig deep into user insights, identify and resolve pain points, and discover what interests or repels users. This can be done with the help of tools such as heatmaps, visitor recordings, and form analysis. Visitor recordings play back the actual interactions that any user has had on your website. These insights can be used further to analyze or validate whether any element on the website can prove to be a distraction for the user. In a case study by VWO, about UKToolCenter, removing the product filter improved site engagement by 27%. Using visitor recordings, the hypothesis that the product was a distraction was easily validated. A form analysis can be run for understanding how users interact with forms. This interaction allows you to fetch insights from drop-offs per field, time taken to fill the form, fields ignored, and so on. This data can be used further for fixing the pain points that users face, and optimize web forms for more engagement and conversions. Feedback and insights gathered from on-page surveys can also be used for improving on-site user engagement. For example, if a user spends more than five minutes on a product page, a survey can be triggered to find out whether the user intends to buy something or is searching for something specific. How are you driving meaningful engagement for your eCommerce enterprise? Drop a comment or feedback below. As a user, i’m a big fan of ecommerce sites that customise an experience for me. ASOS would be an example, where they offer a members section which is personalised to me based on my browsing behaviour. This is just a simple example, and it shows how much more potential there is to craft better experiences for users! Thanks for the feedback, Jamie. ASOS is indeed a very good example of customer engagement. There are many ways to encourage customer engagement including the above-mentioned 3. But I think knowing your target market well will help you get your desired goal. If all efforts are based on what you know of your market, then your marketing plans will surely pique their interests.